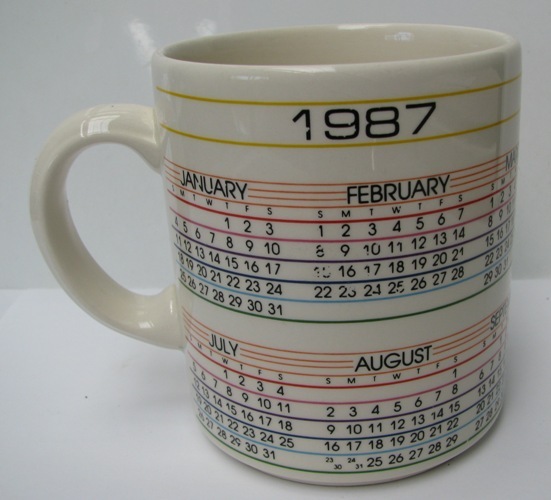 This is an unusual mug by the fact that it has Papel stamped on the back. 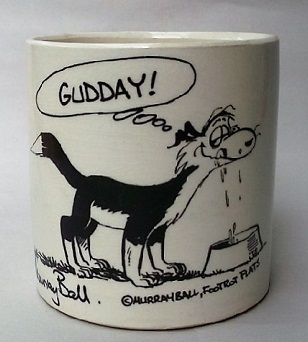 The mug has Made in New Zealand around the base. I wonder who Papel are? 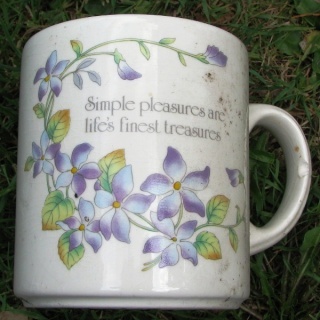 Derek got this mug along with around 300 others when Crown Lynn were getting rid of old stock. The Papel backstamp in not in the gallery (that I can see). It has the usual raised "Made In New Zealand" as well. I'm not sure about the Papel trademark stamp going into the Crown Lynn backstamp gallery. What do others think? I'm easy on this Ev. 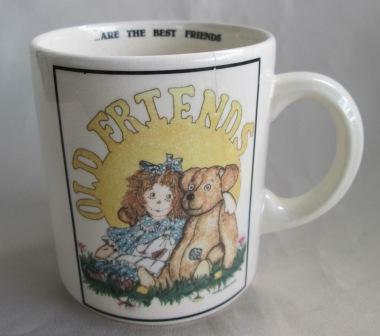 I had a look at eBay this afternoon and saw about 950 Papel mugs. 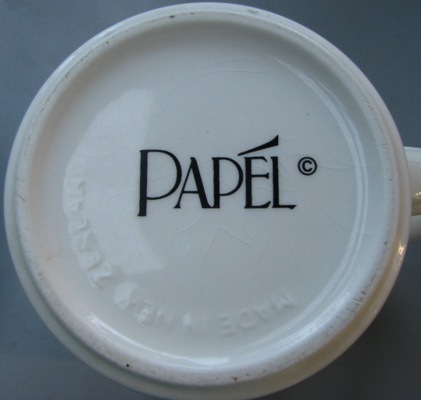 We have found two Crown Lynn shapes so far that have Papel transfers and back stamps, this one and Kat's castware 1482. 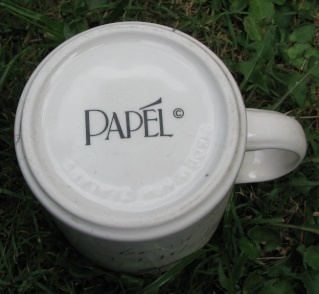 I think the deciding factor should possibly be whether Papel or one of his contractors commissioned a shape from Crown Lynn especially for their transfer mugs. Kat's Papel 1482 is the only 1482 to appear so far. That may be significant. 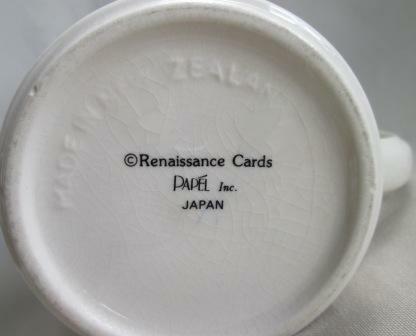 For collectors, the presence of a backstamp like the one for my mug which has "Japan" may stop them looking further for the "Made In New Zealand" which is often buried in the glaze. I only picked this one up because I knew Crown Lynn produced Papel mugs. If the Hospice shop staff had looked beyond "Japan" they may have charged $3 instead of one. And yeah, it is sweet. The transfer inside really adds to the Papel experience. 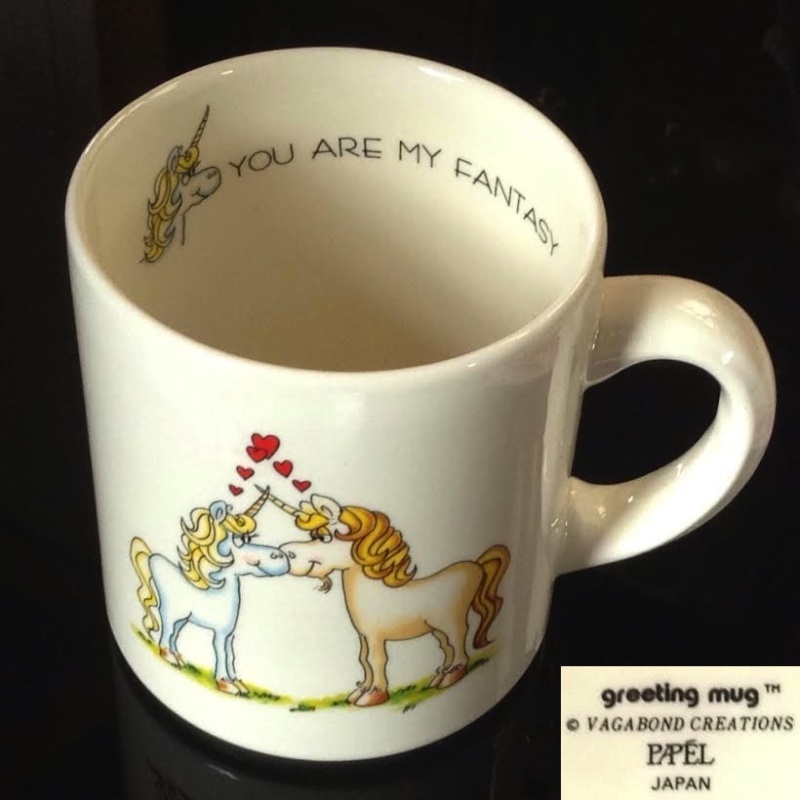 Hi, I posted a Papel mug here http://www.newzealandpottery.net/t2158p60-show-us-your-mugs-crown-lynn-of-course#13893 which has a different mark on the base, Drawing Board Greeting Cards - Papel, Japan. I don't think it should go into the gallery, as even if CL made a run for them, they also made runs for lots of other businesses etc, unless we can find evidence that this shape was made exclusively for them. This one has a Renassance Cards mark as well.